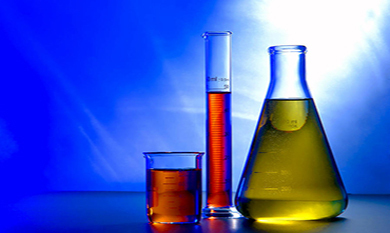 Brookfield Engineering Laboratories has long been considered the World Standard in Viscosity Measurement and Control. From the original Synchro-electric Viscometer to today’s sophisticated DV-III Ultra Rheometer, the Brookfield name is synonymous with quality, dependability and reliability. In recent years, we have added the addition of texture analysis equipment to our line of products. This axial testing capability enhances Brookfield’s existing product line by providing more flexibility in solving the rheological and texture measurement needs of our customers. Ease of use, flexibility, reliable performance and quality of service have made Brookfield Viscometers favorites all over the world. From our simple-to-use analog, to our more sophisticated, versatile DV-II+ Pro, there is sure to be a viscometer for your application and budget. To measure viscosity at a controlled shear rate, or at a controlled shear stress or to make a direct yield stress measurement, Brookfield has a rheometer to meet your requirement, ranging from the easy-to-use in production control and Q.C to the more sophisticated in R&D. The LFRA Texture Analyzer is the industry standard. Brookfield is now offering the new LFRA with improved operation and modern mechanics. The LFRA remains consistent with the existing standards while now offering a variety of probes and fixtures to meet a wide variety of Q/C Texture measurement needs. The Brookfield QTS offers a 25kg load cell and powerful control and analysis software for complete product evaluation. The wide range of fixtures and probes makes the QTS ideal for any R&D laboratory interested in texture measurement. Brookfield Viscosity Standards are essential to verify calibration of your viscometer or rheometer. From silicone to mineral oil, there is a variety of fluids available to meet almost any requirement. Brookfield has three types of software which work in conjunction with our more sophisticated viscometers/rheometers. From test data collection to sophisticated test automation, our software programs are sure to save time, create permanent records and eliminate costly errors. LABISE s.a.r.l. is partner for renowned European suppliers of high-end measurement and analysis control equipment. Specialized in educational equipment for schools, universities and technical & engineering schools, LABISE offers equipment, demos and trainings. LABISE s.a.r.l. provides to the research labs and industry laboratories a complete products range for quality control equipment. LABISE s.a.r.l. is located in the connecting city Fanar - Beirut, to facilitate a quick reaching customers in all regions.